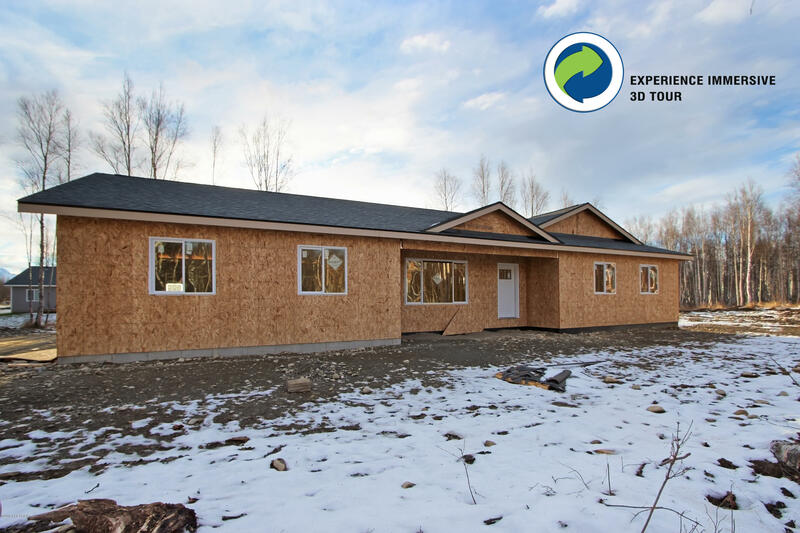 5374 N Ahina Circle, Wasilla, AK.| MLS# 18-19045 | Mossy Oak Properties | 907-357-5100 | Wasilla AK Homes "For Sale" Alaska Businesses "For Sale"
Under construction home in the framing stage as of listing date. Corner lot with long driveway to XL three car garage. Vaulted ceilings, slider door to back yard, covered front entry are some features you can already see. The finish work will include upgraded cabinetry, extra lighting, quartz counters and superior quality flooring. Please call for construction updates. Interior photos similar. Pamela is paved but Ahina is not. There is a small stretch of gravel from Pamela to the driveway on Ahina. Seller will build a privacy fence between this home and the neighboring property.